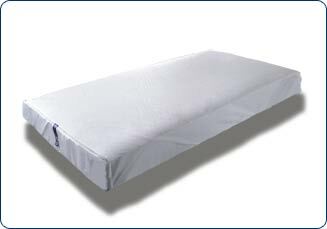 Ascending Butterfly: Win the Gift of CleanRest® - 2 pillows, 2 pillow encasements and 1 mattress encasement! Win the Gift of CleanRest® - 2 pillows, 2 pillow encasements and 1 mattress encasement! This giveaway is now CLOSED. Thanks so much to our wonderful sponsor CleanRest! We look forward to working with you again! The winner is 'BatChicky'. Congrats! Remember: There are great giveaways active on the upper right hand side of the page! This was gift #1 in our first annual Mother’s Day Buying Guide! Sweet dreams start with healthy sleep! Pollen season has all my friends and family feeling sluggish, and the thing that would help the most, is the one thing that eludes them with all the sneezing due to their allergies, REST. Sleep is elusive when you are sneezing incessantly and tossing and turning! I myself have allergies and am asthmatic; dust, pollen, mold spores are big triggers for me and throughout the years the season that is supposed to be the happiest for me, Spring, (because it's my birthday season), usually ended up being the time of year when I rested the least. Up sneezing and wheezing with allergies. This year I sympathize with friends and family (and colleagues) who are suffering with their allergies and not getting enough rest. Notice I said 'Sympathize' because this year thankfully I can no longer 'empathize' at least while I'm indoors. The late night sneeze fest has ended for me thanks to my new pillows, pillow encasements and mattress encasement from the very nice (and patient) folks at CleanRest®.com. As many of you remember I asked for your votes last year in the Simmon's Beautyrest contest. I am super happy to FINALLY be able to share officially that I won! Thank you dear readers, friends and family for your votes and your support. There was a delay in delivery and this resulted in a delay in me being able to review the CleanRest® items that I received. I don't want to scare you or keep you at night, but the very brave and intrepid among you who really want to be grossed out with more in depth stats about whats crawling around on your bed and pillows can check out sources which include: www.fabrictech.com, www.allergycontrol.com as well as the National Institutes of Health. We are kicking off our Mother's day Buying Guide, a list of lovely gifts to tell that special mom in your life just how much you appreciate her! No worries for all of you that have sent us emails, We haven't given up on our daily words of inspiration & motivation at all. We are just putting extra effort into our First Annual Mother's Day Gift Buying Guide. It's been taking up more time than anticipated to put the review & giveaways together, but it's defiintely going to be worth it! We thank CleanRest® for starting us off! And needless to say any of the Spring Bags featured in our 'Spring Into Bags' 2010 Special Feature would make a special gift for that special mom in your life. CleanRest® is Chemical Free. Not only will CleanRest® products protect you from all known allergens, they are 100% chemical free as well. Their products are free of BPA and Lead and contain No VOCs or Phthalates. As a concerned parent whose child suffered from nighttime breathing difficulties, Gary Goldberg, the inventor of CleanRest®, used three generations of his family’s textile manufacturing background to develop the solution. The result is a fabric with a weave so tiny no allergen or liquid can penetrate it—and so comfortable and breathable, you virtually don’t know it’s there. Even more important, CleanRest® is why Gary and his wife can now rest easy, knowing that their child is sleeping safely! CleanRest® allergy free pillows completely block any form of micro-toxins and dust mite infestation from ever entering the interior stuffing of the pillow. 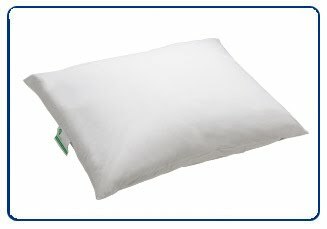 This luxurious, infestation-proof pillow is the only pillow available that provides this level of protection, ensuring you receive the best night’s sleep possible. 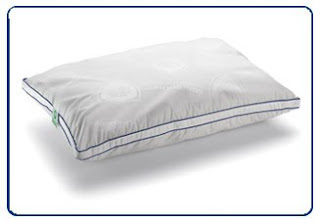 CleanRest® Ultra Allergy Blocking Pillow Encasements are softer, cooler and quieter. While still completely blocking micro-toxins and dust mite infestation, these new pillow encasements have a softer hand and feel. Our new, ultra soft fabric still offers the highest level of allergen protection and best night's sleep possible. Don't you just ♥ CleanRest®? I know I do! How to Win: (1) You must be a PUBLIC follower of Ascending Butterfly to be eligible for this and all giveaways. Indicate in your entry that you follow (if your 'comment name/user id' differs from your profile id, please let me know what name you follow under) and (2) Visit CleanRest® and post the URL of any other product that is not listed in this review & giveaway as your comment entry! Please post the LINK, entries must post a Clean Rest product link to be accepted. (3) You must also leave your email address somewhere in your comment. (You can format it this way for security, example: ascendingbutterfly AT mail host DOT com, If it is visible in your profile, just say so, that's OK!). Please follow the easy 1, 2, 3 steps to winning! This giveaway is open to USA residents who are 18 years of age or older. I'm a follower and my email is in my profile. Thanks for the giveaway! Following Ascending Butterfly on Google Friends, the gentleman in the photo with me is the late Dr. James Mackay of Glasgow, Scotland, my soul mate and holder of my heart. Have been newsletter subscriber of blog for some time now. I like the chocolate window panel. i'm a follower. I'm entered in your Mythic Paint and Accubrush giveaway. My e-mail is visible in my profile. I clicked like and left a comment on Fuel My Blog. I voted for your Mom! Good luck to her! I'm entering your Marissa Del Rosario giveaway. I follow @CleanRest on Twitter @AsTheNight. I voted for your outfit 'springtime nyc' @ Macy's Fashion director Giveaway. Thanks! Good Luck! I voted for your mom in ICE.com's 'Beautiful Moms' Contest. She sounds like an amazing and beautiful woman. Thanks! I like the allergy blocking window panels. Stopping by from the Regal Ball! Great giveaway! Voted on Fuel My Blog! 1) Following as MLC Jr. Fan on the Protect your sleep Facebook. Fan on The Ascending Butterfly Facebook. Voted for ICE on Facebook. voted for your mom - good luck to her! I've heard some crazy stuff recently about our beds and pillows and it totally creeps me out! LOL Not sure if I should say, "thanks" for sharing more info! Following you on Facebook as Mimi Baker and left a message for you on this status update. Just voted for you on the Blogger Choice Award. I was #29. I left a message on Clean Rest's FB page. Left a comment on your Status there for them. I follow your blog publicly as Shilo Beedy. They make allergen free window panels too! I follow you as MRWriter.